Live Green offers a FREE 14 Day Trial Membership to allow potential Members to experience the savings for themselves without risk. A FREE 14 Day Trial Membership starts when a potential Member registers for the trial, and ends on the 14th day at 11:59:59 pm ET. A Trial Member may cancel his/her Trial Membership at anytime within those 14 days. Canceling a Trial Membership will also cancel the processing of that Membership fee on the 15th day. A Trial Member may cancel his/her FREE 14 Day Trial Membership by clicking the Cancel My FREE Trial button from his/her Dashboard. A Trial Member may also cancel his/her FREE 14 Day Trial Membership by contacting Happiness Support using one of the methods provided below. Live Green offers a 14 day refund on the initial Membership fee. The 14 day refund policy starts on day 1, the Order Date of the Membership, and ends on the 14th day at 11:59:59 pm ET. A Member may request a refund and cancellation within the 14 days by contacting Live Green Happiness Support using one of the methods provided below. Live Green guarantees every first year Membership will pay for itself in savings. Savings include Green Wholesale Market Discounts, Retail Cash Back and Live Green Dollars. If a Member does not save at least the cost of their Membership in their first year, the Member may renew and contact Happiness Support using one of the methods provided below. 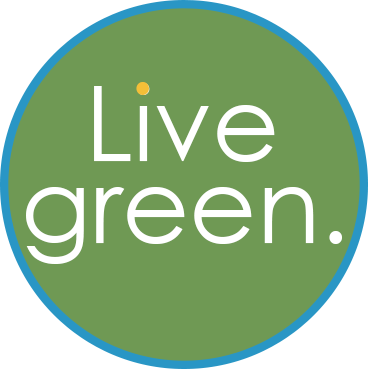 Fifteen days after the Membership has been renewed, Live Green will issue a credit in the form of Live Green Dollars for the difference between the Membership cost and first year savings. For example: Mary paid the $99.95 Membership fee and only saved $40 in her first year. Mary renewed her account and contacted Live Green Happiness Support for a credit. Live Green issued a $59.95 credit in the form of Live Green Dollars to Mary’s account 15 days after she renewed. All Green Wholesale Market order discrepancies are handled on a case by case basis due to the large number of suppliers and their different policies. Order discrepancies include products that arrive damaged, orders that are missing products, or orders that are shipped with incorrect products. If a Green Wholesale Market order or product is received with a discrepancy, the Member must contact Live Green Happiness Support in writing within 10 days from the order date to inform Live Green of the order discrepancy. The contact to Happiness Support must include a detailed explanation of the discrepancy, the Live Green order number and specific sku numbers. If an order arrives damaged or with incorrect product, please take photos of the damaged or incorrect products and attach the photos to your correspondence. Happiness Support will reply to your correspondence with information on how to proceed with the discrepancy. Depending on the circumstances, Live Green may issue an RMA# (Return Merchandise Authorization Number) and Return By Date with instructions for the Member to return the discrepant items. All refund requests due to “buyer’s remorse” are handled on a case by case basis, as many of the product manufacturers do not accept returns. In instances where we are able to obtain return authorization, the credit issued to the Member, will be less a 20% restocking fee and all shipping costs associated with the original order and return of products. We suggest shipping your orders to a location where someone is physically present. Live Green does not ship with insurance or signature confirmation and all packages will be left outside the shipping destination. Once the carrier delivers the package, the package tracking is labeled as “delivered” and it is no longer eligible for a lost or stolen shipment claim. Please be sure shipments can be left at your ship to address without concern of being stolen or damaged by natural elements. A Member must report Green Wholesale Market order issues within 10 days of the order date by contacting Live Green Happiness Support using one of the methods provided below. All Retail Cash Back purchases must be handled by the retailer from whom the order was placed. Please note that any returns, cancellations or alterations made to orders placed with retailers on Live Green Retail Cash Back will void the cash back associated with those purchases. a. Go to YOUR LiveGreen.life website. b. Login to YOUR Live Green Membership account. c. Roll over My Account in the upper right corner and select Dashboard. d. Click on Happiness Support from the menu. e. Select New Issue on the right side of the screen. f. In the form provided, select your ticket category: Order Issues, Return Policy, etc. and type in your ticket subject line. Then under Message, please state your order discrepancy, cancellation and/or refund request in detail. Include the Live Green order number, and if applicable, include specific sku numbers and attach any photos, screenshots or documentation that support your request. g. Check the Re-Captcha box next to I'm not a robot. h. Click the Submit button. i. Please do not mark your Support Ticket as Resolved, as the ticket will be removed from Happiness Support's open ticket queue. Once Happiness Support receives the Support Ticket, they will acknowledge receiving your request and will begin processing it. Happiness Support will keep you updated as to the progress and let you know if additional information is required. 2. Send an email to happy@lg.life and state your order discrepancy, cancellation and/or refund request in detail, including your name, ID number, order number, and if applicable, include specific sku numbers and attach any photos, screenshots or documentation that support your request. The email address MUST match the one on record with your Live Green account for security and account verification purposes. Happiness Support will create a Support Ticket in your account documenting your email and will communicate with you via the Support Ticket.